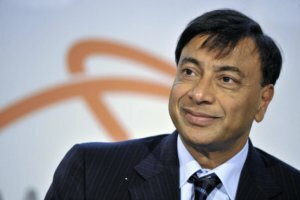 Lakshmi Mittal, the chairman and CEO of the world’s largest steelmaking company ArcelorMittal, says that the economic situation in Ukraine has stabilized, which now allows Ukraine’s largest steelmaker РJSC ArcelorMittal Kryvyi Rih to operate successfully and continue to make investments in its economy. “At present, the situation in Ukraine is stable. And our enterprise ArcelorMittal Kryvyi Rih has been operating smoothly,” Mittal told Interfax-Ukraine at the General Assembly of the World Steel Association (Worldsteel), which opened in Tokyo on Monday. At the same time, he was unable to comment when asked about his estimate of a decent wage for steelworkers in Kryvyi Rih who have been trying to have it raised up to EUR 1,000 a month and which currently is about a half of that figure. “I have no idea about a wage for steelworkers in Kryvyi Rih. All this depends on the companies involved and the situation within them,” Mittal said. He refrained from any comments regarding his company’s capabilities and timeframes for raising wages for steelworkers employed by ArcelorMittal Kryvyi Rih. As was reported earlier, employees of ArcelorMittal Kryvyi Rih held a press conference on March 27, 2018 to make public their demands to their management, in particular, about raising wages up to EUR 1,000 a month from April 1, securing the safety conditions at work, and preventing any ungrounded cutting of jobs there.